Cryptocurrencies And The Way We Should See Them...By: Ajeet Khurana! 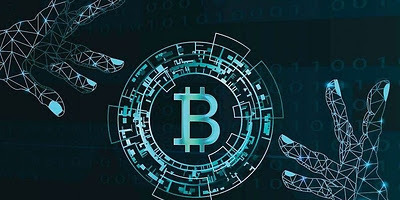 Ajeet Khurana, Head of Blockchain and Cryptocurrency Committee of India explains why cryptocurrencies are the future. Basically what he's saying is to keep an open mind and don't be a fool and close your mind to what is happening around us right now. Remember, many did the same with the Right Brothers when they invented the flying machines, Henry Ford when he invented motor cars, Google and even Facebook but look where they are now. I'm not saying that the same is going to happen with Cryptocurrency, I can't see in the future, but what I'm saying is, keep an open mind and learn about them as I feel they could be the answer to our weltering fiat currencies, and the elites control over mankind. I believe Cryptocurrency is here to stay and no matter what others may think are try to do with taking it down, it's the future and no one will stop it. Please take a few minutes and watch this video. You never know, it might open your once closed mind.